Enjoy the exquisite pleasure of harvesting your own peaches, nectarines, and apricots. 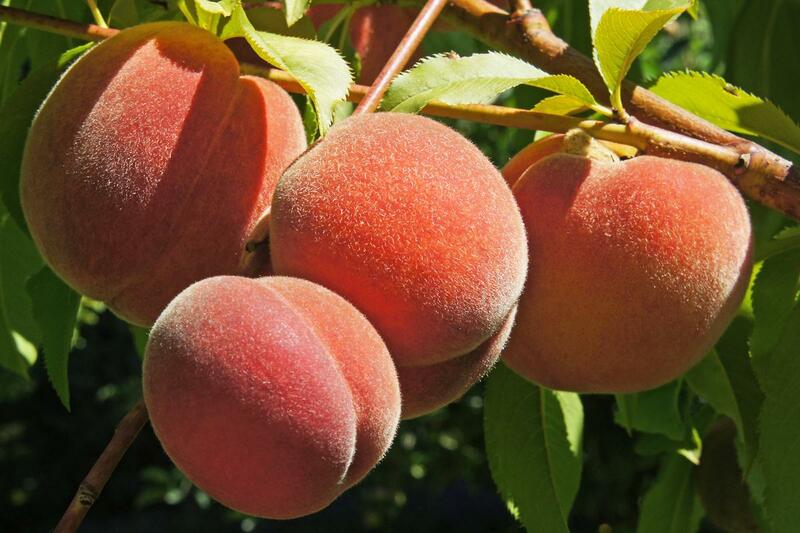 The peach and apricot varieties we carry are all self-fertile, but may produce heavier crops if two varieties are present. Peach trees are the easiest of these to grow, since disease resistant varieties are available. Nectarine trees are a little more challenging, but rewarding. Apricot trees need careful siting due to their early bloom, but are worth growing if you have a good spot. For more information, check out our info sheets- Starting Right with Peaches and Can I Grow Apricots in the Pacific Northwest. Peach trees, Nectarine trees and Apricot trees are only shipped while dormant, from February through early April. They are available for pickup from February through late November. A dwarf rootstock, Krymsk 99 can easily be kept under 10′-12′. Very productive, heavy crops may need thinning for good fruit size. Not drought tolerant, may need staking in early years. A semi-dwarfing rootstock that produces a tree 10′-15′ in height at maturity. Tolerant of most soils. Can be trained as an open center or vase shaped tree, or as a central leader tree.